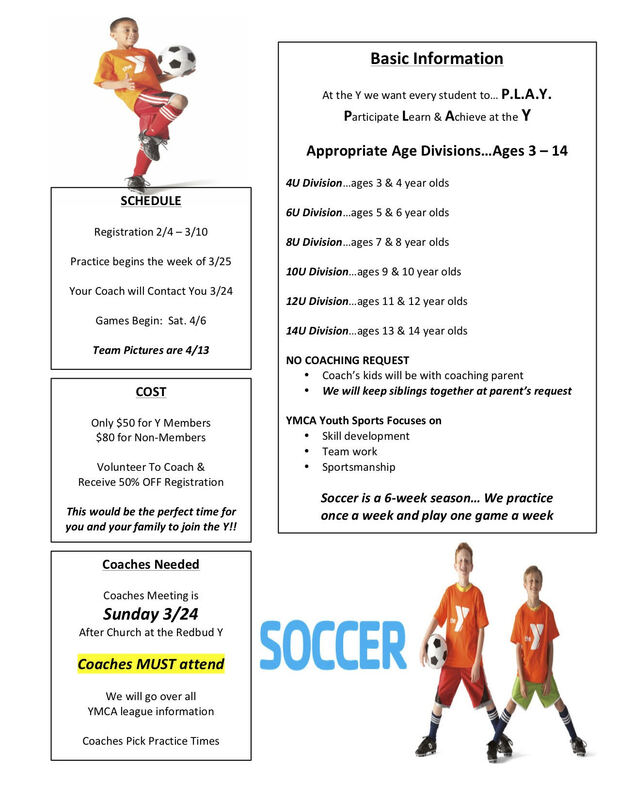 Youth Soccer is an exciting sport combining team play and individual skills. The Y Youth Sports Program helps kids become not only better players, but better people as well. It's a progressive program, with multiple age-specific levels. Every child gets to play and the games are safe, exciting and fun. We encourage fair play, positive competition, and family involvement. Open to girls and boys ages 3 - 14 years old. 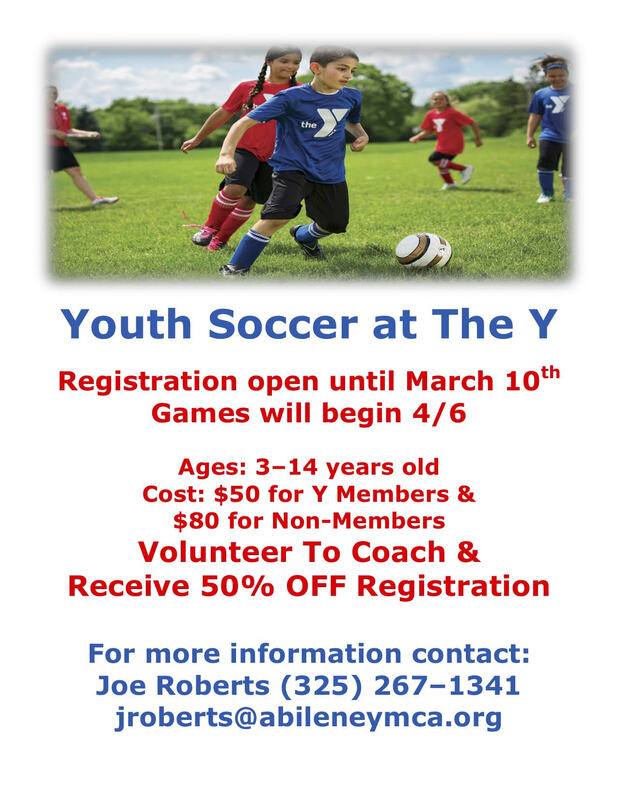 Volunteer coaches are eligible to receive 50% off their child's registration fee and must register in-house only to receive discount. 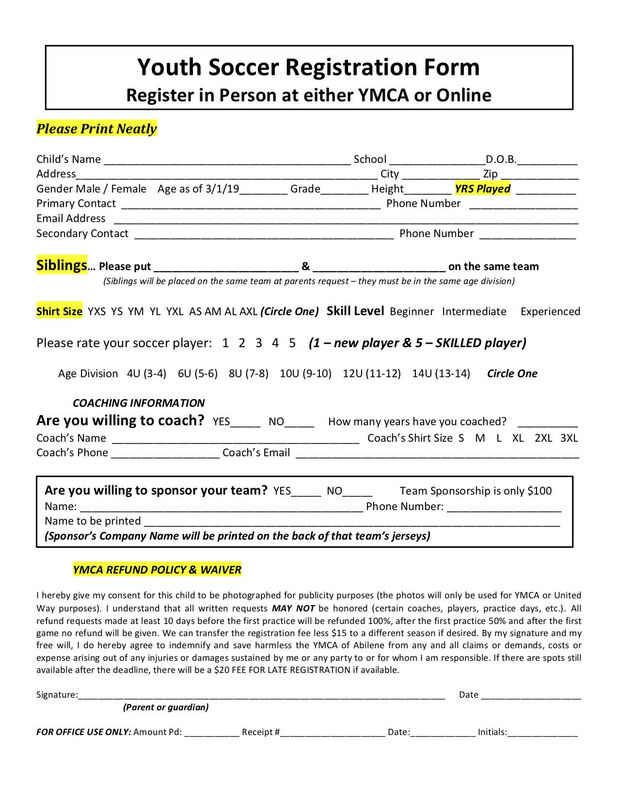 Registration is OPEN through 3/10/19 for Spring Youth Soccer. Games begin 4/6/19. Non-members are $80, members are $50 for the season.